Luxcine - A globally renowned LED projector manufacturing company of LED projectors is back with its new line of Home Cinema projector and this time its an LCD budget projector with loads of features for the end user. Yes, we are talking about Luxcine CM2 1080P Home Projector. Sought after a long time and now finally this projector available in India now available to order on www.digicartz.com. It supports WXGA and HD resolutions and has 3200 lumens of brightness via DLP technology. The 30,000+ hour LED life means no expensive bulb replacements. Inputs include HDMI and USB, and Office Viewer allows playback of a variety of image formats, documents, and video files without connection to a PC. 3D capable, it also has wireless connectivity. It’s supports 3D and red-blue video. It has a native resolution of 1280*800. 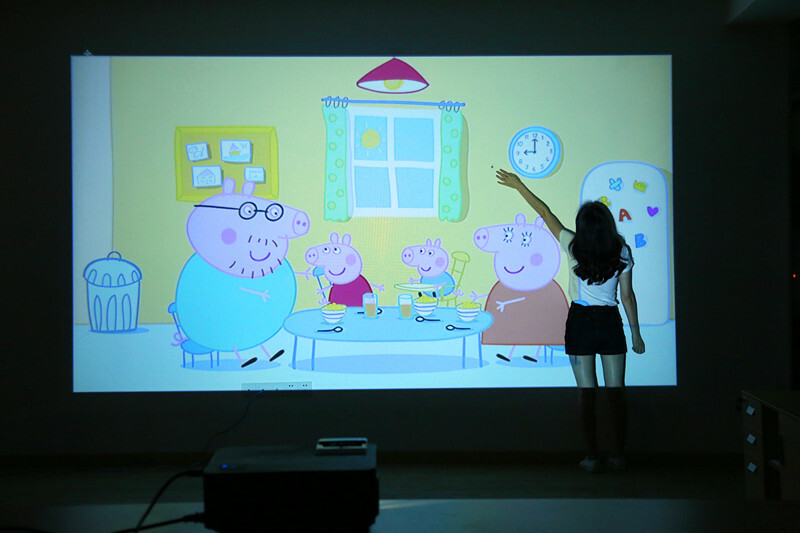 We can enjoy up to 280-inch big screen. Luxcine CM2 Main features is we can connect the projector wireless to an Android or iOS device (iPhone, iPad) miracast and airplay . Its supports 6watts stereo audio system with large sound chamber music mode. If you're more serious about video watching, Luxcine CM2 projector does throw full 1080P video on a screen up to 280 inches in size. 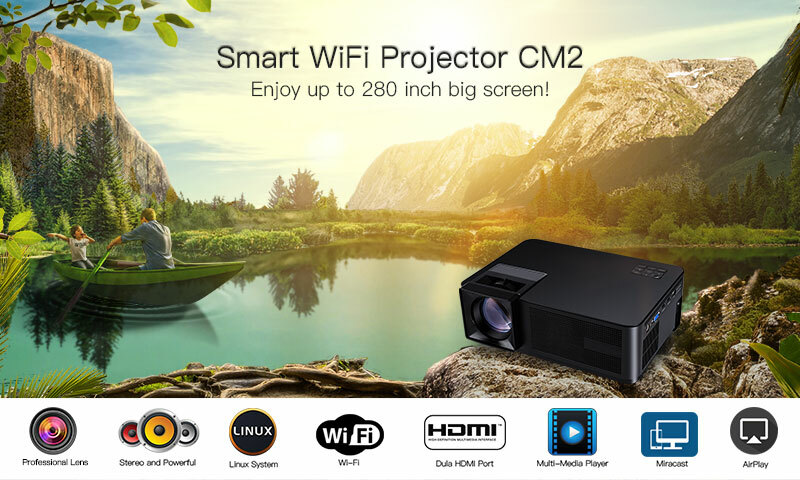 Super convenient for business owners and for everyone its has all amazing features those who wants to drill like a amazing exeperience with great effective of sound and vidio quality the Luxcine CM2 Projector is the nifty device that transforms your phone into a projector, in an instant. The Luxcine CM2 Projector is compatible with the many accessories and phones. This highly portable projector is affordable for small businesses on an average budget, cost. 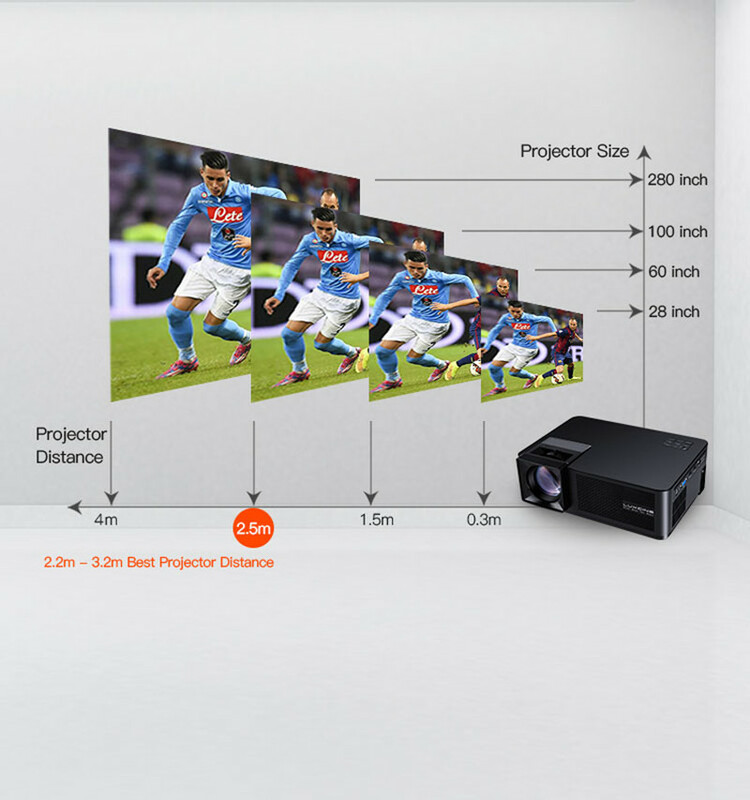 To know about the price and all the details regarding this projector check the below link.